Werner's Cairns blog: GetUp - do you know what’s up? GetUp - do you know what’s up? 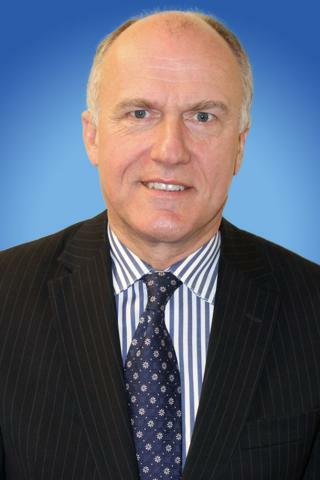 Eric Abetz. The Left’s foreign donors. A few weeks ago a trove of hacked documents detailed the international web of organisations nurtured by George Soros via his Open Society Foundations (OSF). Soros is a United States-based hedge fund operator, currency speculator, convicted insider trader and prolific supporter of left wing causes – worth $25 billion. The documents illuminate Soros’ extensive support of groups promoting open borders, climate action, abortion, Boycott, Divestment, Sanctions (BDS) against Israel and a range of other left wing issues. In April 2005, Soros met likeminded multi-millionaires and billionaires in Scottsdale, Arizona to examine why George Bush won the US election. At least 80 wealthy individuals pledged $1m or more apiece to fund a network of left wing advocacy groups. The same month Purpose Campaigns – founded by Jeremy Heimans and David Madden – posted an ad on the Harvard Institute of Politics website, which described itself as a new progressive political campaigning organization. Also the same month Purpose Campaigns Pty Ltd was registered in Australia by Heimans and Madden, as was GetUp two days later. GetUp thus became Soros’ local Australian franchise, operated as a joint venture for the Greens, Labor and the unions, whose proxies populate its board. A hacked 2010 memo to Soros discusses facilitating the Global Campaign for Climate Action with grants to Avaaz, which it describes as ‘already an OSI grantee and close collaborator’. The pattern of Soros backed activist organisations nurturing others has spread to Australia, with Avaaz giving GetUp a total of $195,618. GetUp also recently received $42,961 from its German equivalent, Campact, and $39,060 from Purpose – a total of over $275,000 from overseas-based organisations in two years – despite GetUp endorsing a ban on foreign donations! Apart from Heimans and Madden, Brett Solomon, GetUp’s Executive Director from 2005-08, went to Avaaz as Campaign Director. Phil Ireland, recently appointed to GetUp’s board, was a senior advisor at Purpose and is Vice-Chair of the Global Campaign for Climate Action of which Avaaz is a partner organisation. He is Purpose and Labor’s guy at GetUp, having been Labor’s Campaign Director in the Hunter region and convenor of the Labor Environment Action Network. The hacked documents also detail numerous grants to groups advocating for BDS and worse. A review by OSF (formerly OSI)s’ Arab Regional Office discusses exploiting the rise of the BDS movement. Outlining ‘The Way Forward’ it says:…grantees and other actors have been extensively engaged…particularly in relation activities in the settlements. Groups are actively investigating business interests of international corporations, banks, pension funds and other channels through which to exert legal and financial pressure… While politically Europe is not as critical as the U.S., economically it is Israel’s primary trading partner, with impact already showing; in 2013 Israeli farmers in the Jordan Valley of the West Bank lost 14% of their revenues, with further declines expected in 2014. The campaigns also appear to be negatively affecting public opinion of Israel, at least in Europe, with some signs of greater awareness in the United States (eg, Soda-Stream sponsorship in the media). Whether or not OSF does advocacy in its own name in support of this new agenda or merely finances and does light touch organizing behind the scenes, we will still have to contend with the possibility of public scrutiny whether in the media or elsewhere, though we have avoided such attention to date. It’s no surprise that, in Australia, GetUp has also edged closer to advocating for Palestinian causes and BDS. In 2009, BDS activist Antony Loewenstein said GetUp contacted him to begin an online debate about Palestinian issues and this year GetUp appointed Palestinian activist, Sara Saleh, to its board. Saleh has long supported BDS. In 2014 she criticised Kmart for stocking Soda stream. This BDS campaign saw Sodastream close its West Bank plant and hundreds of Palestinian workers lose their jobs. Recently Saleh said Israel must be forced ‘into a perennial state of existential anxiety’. She also said GetUp would definitely be happy to support the Palestinian cause ‘in their propensity, and maybe in the future as well’. So, in its operating model, financing, personnel and its agenda, GetUp faithfully perpetuates the concerns of its progenitor, George Soros. If any organisation illustrates the sinister aspects of foreign donations and interests influencing Australian politics, it’s GetUp. Next time GetUp members are ‘consulted’ on priorities or receive GetUp’s glib takes on topical issues, they should realise whose agenda is really being pushed. The post The Left’s foreign donors appeared first on The Spectator. The naked truth is always better than the best-dressed lie. Proverb. Posted by Werner Schmidlin at 1:43 PM Labels: Getup. Ihave been following this organisation since the 2007 federal election via an online survey. After answering questions put to the contender (me), the answer at the end was to Vote for Labor or Vote for Greens. On that, I decided to answer all questions differently and did the survey in various ways. The end result was ALWAYS to either vote for Labor or the Greens. Having woke up to what they were about, I have followed them very intensely since. Simon Sheikh and Bill Shorten were two of the original members of GetUp! One only has to Google “George Soros” to find out how dangerous he is to the free world. It is frustrating that he is so much involved with the left side of politics that he is seen to be the one paying for and causing so much of the protesting that we see occurring since Donald Trump has been elected President of the United States. It is sad that one man can be so dangerous to world affairs. Sadder still that it is the young people who have little life experience whom he has been able to recruit both through the likes of Al Gore and Tim Flannery with Climate Change and other matters.